Battlefield V released last week (or earlier this month if you bought into the deluxe edition), selling less than half the number of physical copies that its predecessor managed. UK charts have the physical sales of EA’s latest FPS down significantly when compared to the sales of 2017’s Battlefield 1. There are often a number of caveats attached to these stories. Most notably, the UK charts only count physical sales in this country, so it’s not necessarily a trend that you’ll see replicated across the world. And as digital distribution becomes more popular, we should expect to see physical copies make up a smaller slice of overall sales. But there are plenty of other factors that make Battlefield V’s physical stumble an interesting case. For one thing, it’s been just two years since the series’ last outing, which is a relatively short time for such a significant drop. For another, Battlefield 1 was only on sale for three days during its first week in the charts, but sold more than double what Battlefield V managed in five days. Battlefield V also sold less than half of what Call of Duty: Black Ops 4 managed in its first week in the charts. And despite launching a month ago, Black Friday discounts meant that Activision’s shooter actually finished higher up the physical charts than its closest competitor. It’s worth pointing out that some players will have been enticed by the early access provided by the digital-only deluxe edition, and that the game is also available via EA’s Origin Access Premier scheme, but there’s no denying Battlefield V may have had a somewhat shakier launch than DICE was hoping for. 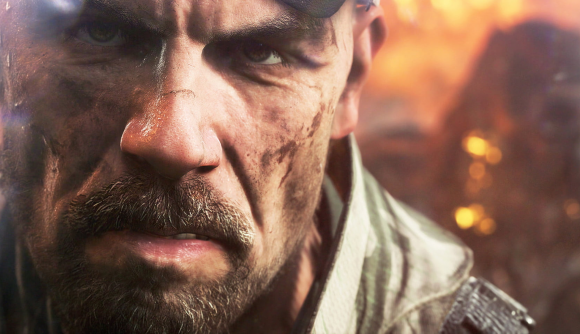 A drop in physical sales follows news that Battlefield V’s pre-order sales were “weak” compared to other major releases. And while Black Ops 4’s Blackout battle royale mode launched with the rest of the game (to significant acclaim), DICE’s offering, Firestorm, isn’t due to arrive for several months, suggesting that the 2018’s FPS battle may already have been won by Call of Duty.